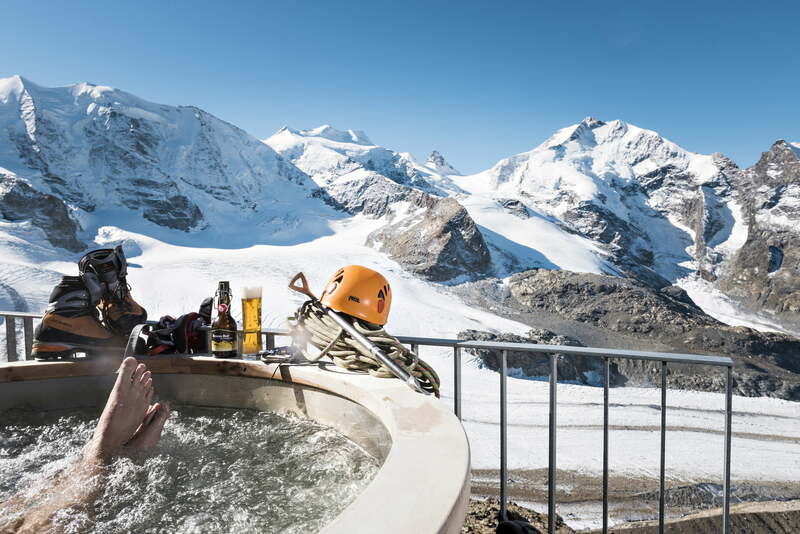 A jacuzzi at 3,000 metres - how cool is that! The whirlpool tub takes centre stage on the sunshine terrace of the Berghaus Diavolezza and envelops you in a luxuriously warm 41 degrees. You can enjoy the views of the Bernina massif and the Piz Palü for as long as you like – until a waiter brings you a snow-white bathrobe.